ABOUT ME - Hi my name is Hannah Michelle Perkins. I was born May 10, 2002 in Auburn, Indiana. 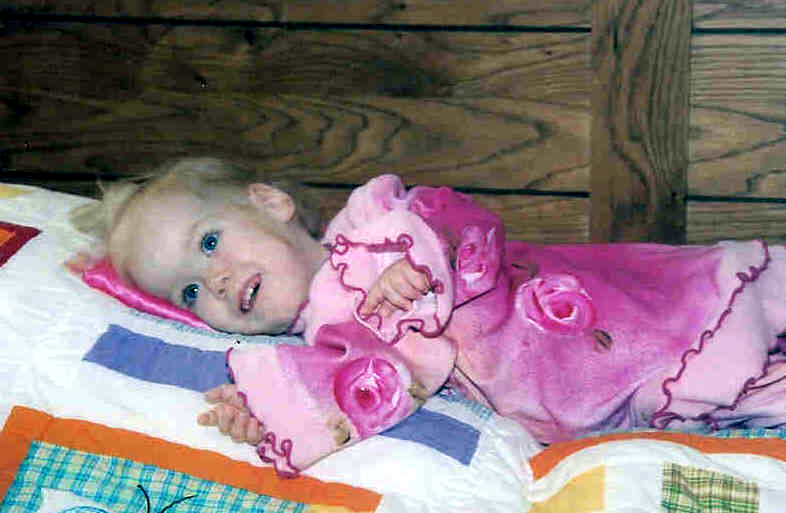 I was diagnosed at 7 1/2 months old with a disease called Spinal Muscular Atrophy (Type 1). Currently, there is no cure but Mommy and Daddy and me hope some day SOON it will come. Mommy says this website was created to promote awareness about my disease and we invite you to the world we live in - The World of SMA. Disclaimer: All information contained in this web site is intended for informational purposes only and is not intended to replace and should not be interpreted or relied upon as professional advise. It is strongly recommended that you consult a physician to assess individual conditions and needs.